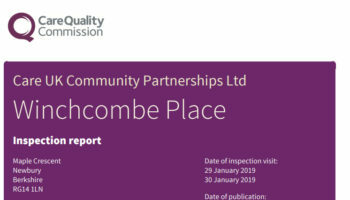 The current count for care homes earning Outstanding overall ratings is around one in every 200 that the CQC inspects. WCS Care, which runs 12 care homes in an arc to the South East of Birmingham, has three Outstanding overall ratings – that’s one in four. How has the company become fifty times more successful than the industry average? 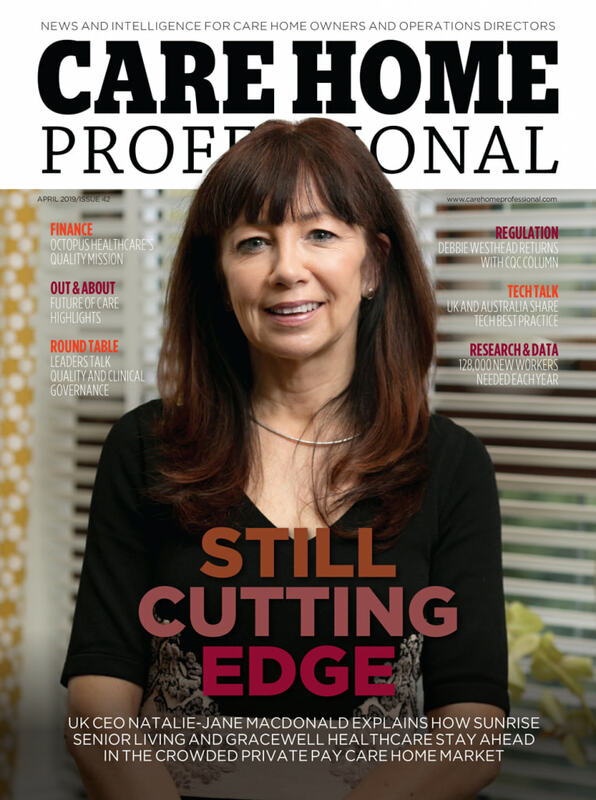 Rob Corder visited two of its homes with chief executive Christine Asbury to find out. I first meet WCS Care chief executive Christine Asbury at Drayton Court in Nuneaton. There is nothing unusual about the area. It is clearly not the sort of affluent neighbourhood that private operators clamour to build in. There is some residential and retail redevelopment going on around the care home, which makes its unremarkable 1960s exterior look more dated than it should. The area may be unremarkable, but Drayton House is not. 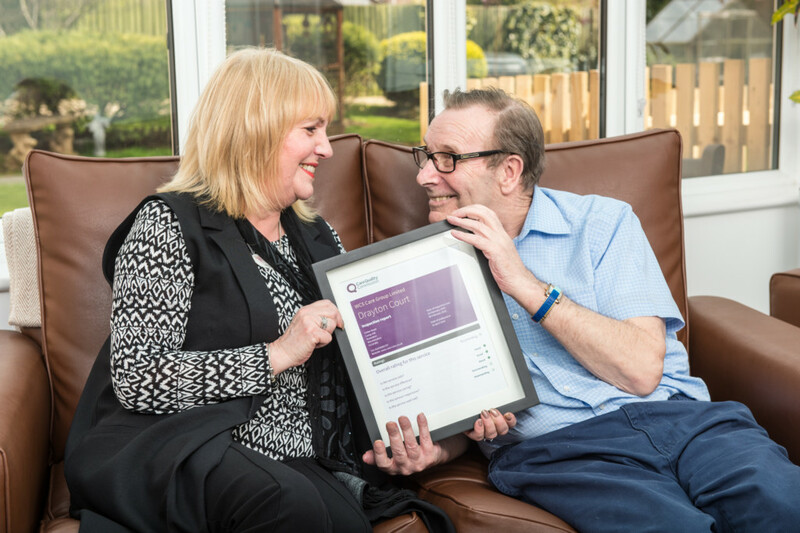 It is one of only 65 care homes in the UK that has been rated as Outstanding overall by the CQC in the past year. The home’s manager is also remarkable. Shirley Randall started working with WCS Care over 30 years ago washing dishes in the kitchen. She has since worked in every role within the care home before taking over as manager. Ms Asbury says she is typical of the company’s managers, who throw their heart and soul into caring for their residents. Small wonder then that when Ms Randall was told Drayton House had earned an Outstanding rating, she was overwhelmed. “I burst into tears. I could not stop crying,” she recalls. That is the sort of passion that Ms Asbury looks for in her team, many of whom have been in the business for years; working their way up the ranks like Ms Randall, and never afraid to go the extra mile to make a resident’s day. WCS Care was created after the big bang when local authorities wanted care homes off their books 20 years ago. The not for profit organisation runs 12 care homes, with number 13 opening later this year. They are almost all 1960s buildings, although its flagship home, the 75 bed Drovers House in Rugby, opened in September 2013. 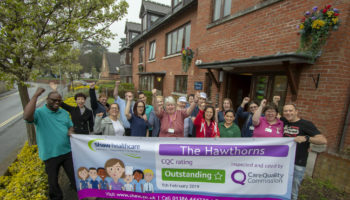 Drovers House is rated as Good by the CQC, while Dewar Close in Rugby and Attleborough Grange in Nuneaton have both earned Outstanding ratings, but Ms Asbury does not believe that the quality of care is any different from one property to the next. The whole group operates to a single set of values that underpin every action, decision and interaction. Ms Asbury is not a fan of the current buzz term person-centred care, and how it is used as a label for how care homes should operate. She prefers to find people with naturally caring natures, and reinforce that talent by asking them to consider the four values. “We find it is an accessible way of describing and defining person-centred to staff and it reinforces the way the majority of our carers are already delivering care; so it isn’t imposing a set of values, it’s building up from what good carers are already doing,” she explains. 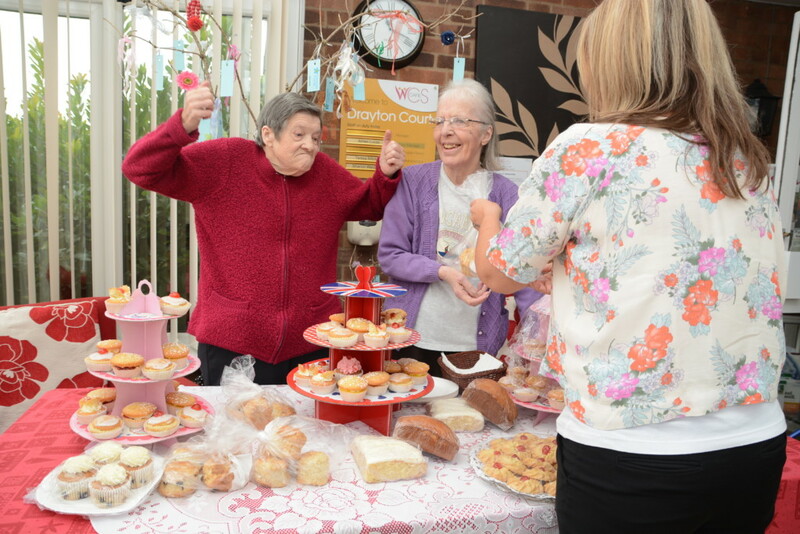 Residents at Drayton Court, one of the Outstanding WCS-Care Homes. The company also instils an ethic that prevents people turning a blind eye if they see anything that can be improved. “We focus on “the standard you walk past is the standard you accept” and that it is down to each and every one of us to make sure we are delivering our values in every moment,” Ms Asbury says. Having established its foundation and its key values, Ms Asbury believes the organisation and its teams have the freedom to be creative and innovative in their approach to care. The group even has a director of innovation, Ed Russell, who often accompanies Ms Asbury to evaluate new technology, techniques and ideas. The large, modern, Drovers House has been the testing ground for this innovation during its development and construction phase, and ever since. “The environment at Drovers is very enabling in terms of the creativity that we are trying to deliver. Ed Russell and I were completely involved in every stage of fitting out Drovers from the environment, the signage, the shop, the buddies club (day care or respite). It has got our fingerprints all over it,” Ms Asbury says. Drovers House has installed several state-of-the art solutions, the most radical of which are acoustic monitoring from CLB in every room, and a care plan management system created by Person Centred Software. CLB is a Netherlands-based technology company that has developed acoustic monitoring as a way of ensuring care home residents are safe during the night without care staff having to enter their rooms every hour to check on them. An electronic listening unit is installed in every bedroom that alerts a central computer terminal if any unexpected noise is picked up. The level of noise that will trigger an alert can be customised for each resident based on their habits and level of risk. “Ed Russell and I went to Holland to see the CLB acoustic monitoring system in situ. It is fair to say that we were initially dubious. We were concerned that it would make us less focused on the individual and would remove opportunities for contact with people. But we didn’t really understand it properly. I thought that you used acoustic monitoring 24 hours a day and you just sat there and waited until the system alerted you that somebody required support. “What we discovered is that it is really a night time system. We were very struck when we visited a care home using it in Holland. We saw people sitting at computers monitoring hundreds of residents and suddenly realised that they knew an awful lot more about what was going on in each individual bedroom than we would do. “During the demonstration in Holland, we left the monitoring room at 2am and looked around the complex where there were 200 people sleeping and we realised, my God, they know exactly what is going on in every one of these 200 rooms. They will know the moment there is an issue in every one of those 200 rooms. It is incredibly personalised care. We found it very exciting,” Ms Asbury says. Attleborough Grange, another Outstanding home, priorities activities and play for residents. WCS Care installed CLB acoustic monitoring in Drovers House and immediately found it delivering more benefits than they expected. “Until we had acoustic monitoring, we would do hourly checks through the night for some residents. This means you are intruding on people, but not necessarily picking up problems. On the very first night we had it installed we noticed a couple of people who were very quiet, but also very unhappy in one way or another, but not letting us know. They weren’t shouting or using their nurse call button, so we would not have known they were unhappy from outside a closed door. Acoustic monitoring alerted us and we were able to go in and reassure those people and settle them down again,” Ms Asbury remembers. Electronic care planning has had a similar effect on improving care and making carers more effective. The solution, from Person Centred Software, ticked every box for Ms Asbury and Mr Russell. “We were joking the other day that it took us 12 years to find the care planning system that we wanted to implement, but it took us 6 weeks to roll it out,” she recalls. 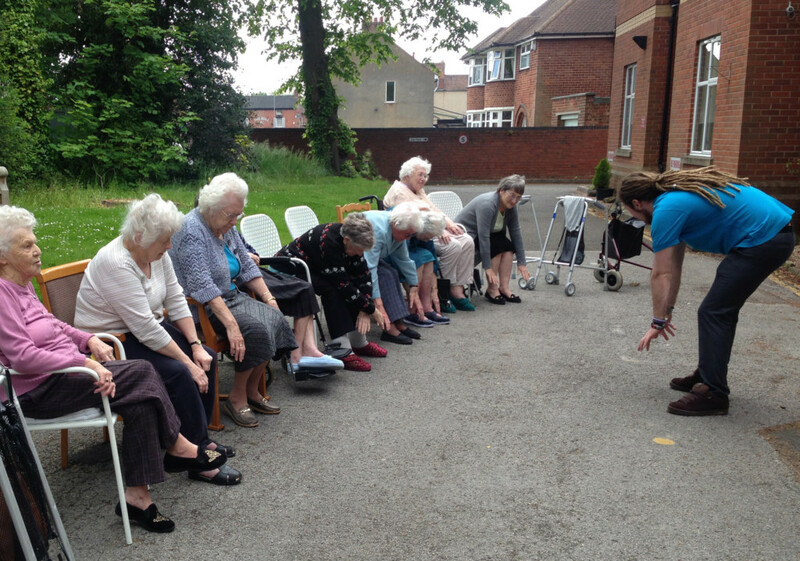 Care Home Professional was given a demonstration of the system in action at Drovers House. A central workstation is linked over wifi to iPod Touch handhelds carried by every carer. Those iPods have a graphics-based app that allows every action or interaction with a resident to be monitored and logged. For example, if somebody has a cup of tea, the carer taps on a cup of tea icon, which tells the system what time it was given. Minutes later the same carer can tap in how much of the tea was drunk, and whether the resident is happy, sad or indifferent at the time. “It is simplicity itself,” says Ms Asbury. “It takes on average under an hour to train staff to use it. Somebody was telling me last week that it takes on average 7 seconds to put any piece of information into the electronic care planner,” she adds. Information about every resident’s care and condition, plus the activity of every carer, racks up exponentially and can be analysed by experts. It can also be shared with relatives. “We are trialling the portal for relatives. It is very reassuring to them because they can look in and see that Dad has had breakfast, he has gone to the activity session, he has sat in his favourite chair to read the newspaper. Here is what he has eaten and drunk. He has been happy or unhappy. That is really reassuring to people,” Ms Asbury suggests. WCS Care doesn’t dabble with new technology for the love of technology, but will eulogise if it improves outcomes. “I am an evangelist for what it does. I don’t really care about the technology and the kit. I just want to know whether it is something that is going to improve the experience of somebody in our homes. Is it going to give them more choice? Is it going to give them more dignity? Is it going to improve their communication? Is it going to make their lives more fun? If it does these things then we want it. If it doesn’t then why bother? We are not going to introduce something just because it delivers efficiencies,” says Ms Asbury. She may not have been looking specifically at efficiency savings from the acoustic monitoring and care planning system, but she has achieved them nonetheless. “The fact is that acoustic monitoring and electronic care planning have started to save time and improved quality, but it wasn’t the time saving that drove our decision, it was the improved care. We think that we are saving about one hour per person per shift at Drovers House with the electronic care planning, which equates to another 36 hours of quality time every single day. That is massive,” she admits. We started our conversation searching for clues as to how WCS Care’s methods have helped it earn Outstanding ratings for three out of its 12 homes. It isn’t stylish, luxurious interior design. 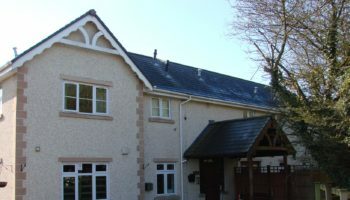 Drovers House is modern and chic, but Drayton Court is a warren of corridors connecting far from spacious rooms full of dated furniture. The company is an innovator when it comes to the use of new technology, but Drovers House is the frontrunner – and rated Good – while the Outstanding Drayton Court, Dewar Close and Attleborough Grange still use paper-based care planners and don’t have acoustic monitoring. Care home manager Shirley Randall from Drayton Court receives the Outstanding rating certificate. 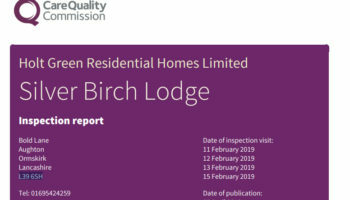 No, it is not the environment or the technology that make three quarters of WCS Care homes Outstanding, it is the leadership. 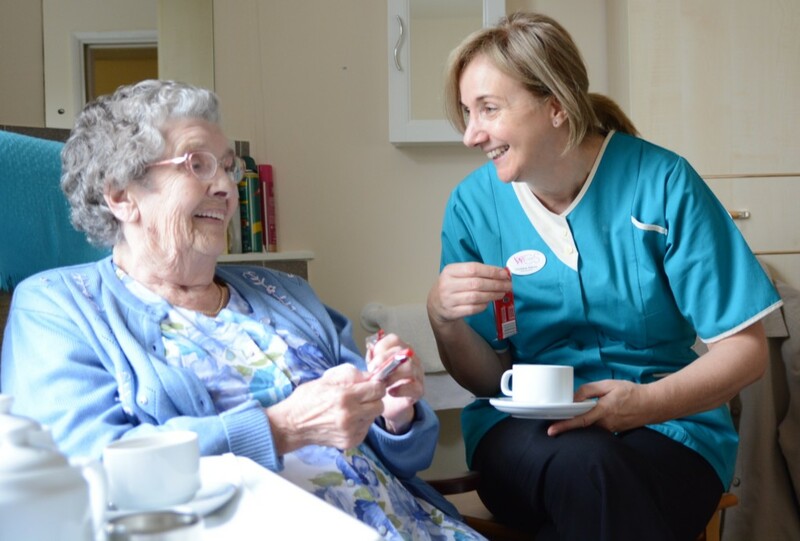 The values that Ms Asbury and her executive team live and work by permeate every nook and cranny of every care home, be that the state-of-the-art Drovers House or the 1960s former local authority properties. It doesn’t matter whether a care plan is on paper or an iPod – it matters that the care is personal, creative and innovative. It matters that every day, every carer comes to work with the right attitude; wanting to be there, ready to play and make someone’s day. The new breed of premium care home operators should even take note that the values system delivers great business results as well. WCS Care houses around 50% local authority funded residents and 50% privately funded. It operates in a far from affluent part of the country, but doesn’t struggle financially from one year to the next. “I can’t say what the situation is for other providers. We are not faced with a situation of being close to going bust. It is simply not an issue. Drayton Court is our most successful of our older homes financially, business-wise. There is no issue with us. I accept that other people are saying they are facing financial difficulties, but it is not an issue for us,” Ms Asbury reveals. “When I hear it said again and again that these times are the toughest times there have ever been for care, that is not the case for us. We find it a lot easier than it was 10 years ago. Plus, we think that the quality of care that we deliver is better, and that most of the regulation that has come in around care quality has improved it,” she concludes. A remarkable and respectable achievement.